Our Omaha Mirror is an interesting piece. 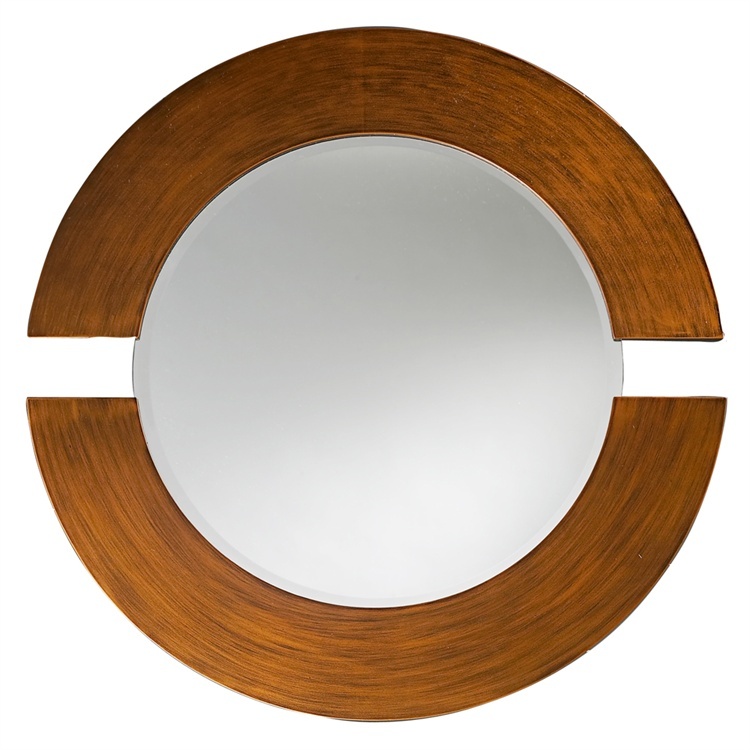 It features a round wood frame that is divided into 2 sections creating a halo around the mirror. It is then finished in a rich burnished copper. The Omaha Mirror is a perfect focal point for any design. The mirrored glass on this piece has a bevel adding to its beauty and style. It is also available in a lovely silver leaf. Customizable for larger orders.